Are you learning a language, but need extra inspiration? Find here 16 of the most popular language learning quotes to keep you motivated. Find some of the most common Spanish conversation starters from Spain. Break the ice and put what you have learned into practice! Find here the 10 best Spanish series on Netflix from Spain. Learn and practice Castilian Spanish in a fun and easy way! Learn the fundamentals of 'por' and 'para'. Uses, expressions and examples with audio. Master "por and "para"! Find here the 15 common mistakes English speakers make when learning. Don't be afraid of making mistakes instead, learn from them! Soccer is a big deal in Spain. 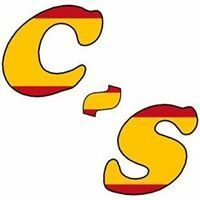 Learn here about an important part of the culture of Spain: Spanish soccer. Here is the most common Spanish goodbyes used in Spain. Learn how to end a conversation like a Spaniard. Informal and formal ways, and audio.